I definitely think this is another example of how on the ball I am when it comes to buying into Blogger hype - a year later than everyone else. I think the reason why I ended up picking this up was due to the fact that I needed some sort of oil treatment for my hair extensions and I didn't want to spend lots on a product to be used soley on hair extensions. 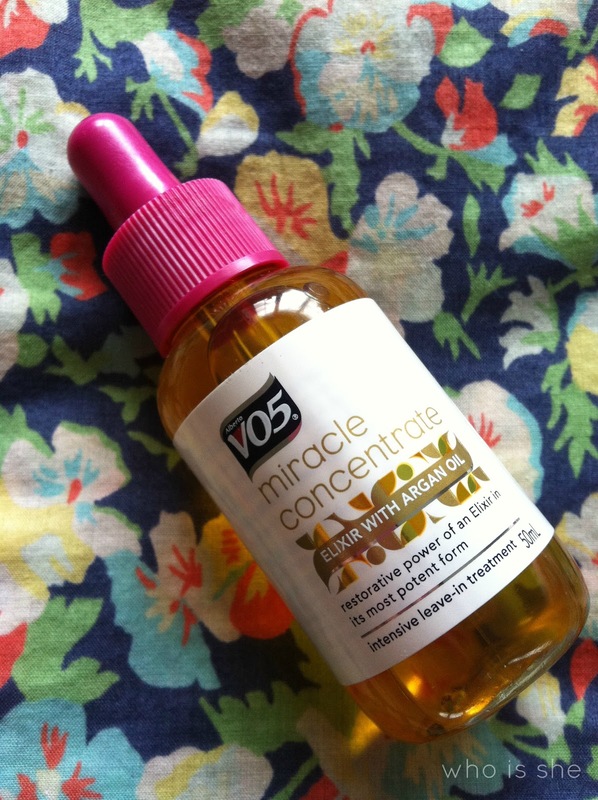 Anyway Miracle Concentrate has been compared to a purse friendlier version of Moroccan Oil, however as I've only ever used Macadamia Oil I honestly can't compare the two. First up the price - This bottle set me back £3.49 which is brilliant considering you get 50ml of product. I only ever use a teeny tiny amount on my extensions as I don't want them weighing down/looking greasy. What's worth noting is that there's no instructions on how to use it (even though its common sense). If I'm honest with you - this really doesn't make much difference to my hair extensions, I'd even say it makes them appear to be drier on the ends than they normally are. If I'm honest with you I'd avoid buying this and spending your money on Macadamia or Moroccan Oil. I've not tried this on extensions but have on my hair and it really helps with air drying time. I still haven't gotten around to reviewing this but it's alright, not as good as Moroccan Oil but then again no where near as expensive. I tried this a while back, it did zero things to my hair. Another waste of my pennies. I'll tell you what's worth a go: Coconut Oil!